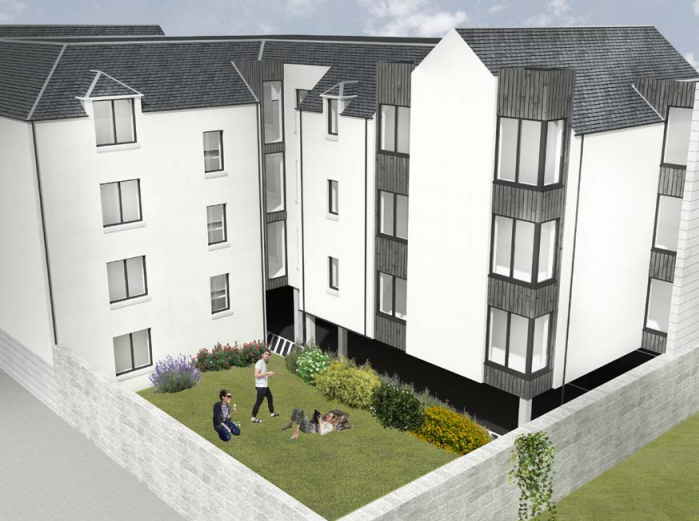 Developers have lodged plans to demolish a former printer’s workshop in the centre of Aberdeen and replace it with a block of flats. 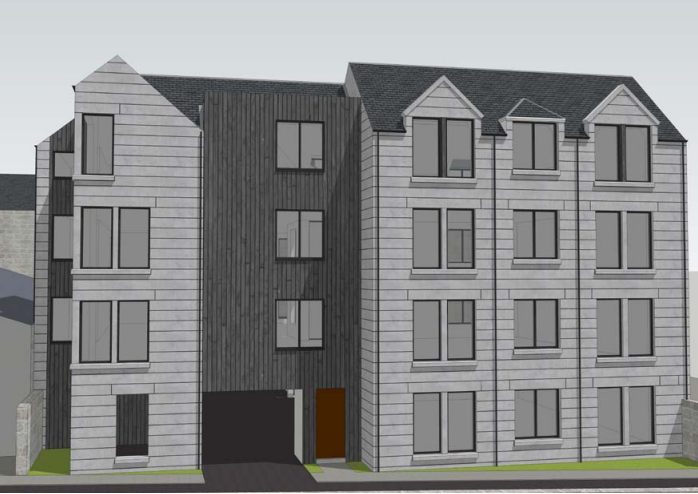 Aberdeen Capital Investment Ltd has applied for permission to begin work on the proposed development at 15 Maberly Street between George Street and Rosemount Place. The plan is to convert the disused building into a three-and-a-half storey complex of 16 flats, The Press and Journal reports. A design statement by Neil Rothnie Architects said that the potential redevelopment of Broadford Works as an “urban village” could complement the Maberly Street project. The firm said: “To the north there is the Broadford Works, which will become an ‘urban village’ if the planning application with willingness to approve is completed and carried out. The firm added: “The height of the development has been informed by the height of the larger tenements in the wider area whilst paying respect to the immediate built surroundings. The former workshop dates back to the 1870s, when it was first opened as part of a wood yard near the Broadford Works during a time when that part of the city was a hive of industrial activity. It was latterly operated by the Scottapress Aberdeen publishing firm, but its staff moved from Maberly Street to a factory in Tullos in 2017.